The Lakewood Observer exists in order to provide anyone who has a care about Lakewood, Ohio a means to share that care with everyone in every neighborhood of our fine city. 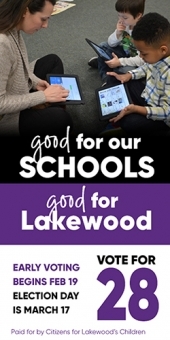 If it concerns Lakewood we are here to help connect you to the rest of the community. Submissions for publication-- All published Lakewood Observer stories, letters to the editor, notices, and photos come from you! We never turn thoughtful and relevant Lakewood-related submissions away.There are several ways you can participate using your specific interests and skills. All of the below should be submitted through our Member Center. You will be asked to give basic contact information to complete the registration process. After receiving email confirmation from us, you are in and we welcome you! This is where all the magic happens. Submit Event to Calendar--By submitting your Lakewood nonprofit or local business event notices to our Calendar it will be listed on our website Home page. (Items will appear once approved by our administration). Most nonprofit items also may be listed on our published current calendar. Calendar items can also be submitted from the Home page without logging in to the Member Center. Submit New Story--Even if you think you don't have writing skills we are never amazed at how well-versed one becomes when writing about what they know and feel passionate about. Also to help you with your message, we have editors who go through every story before publishing to help for clarity and will contact you if needed. Photographers-- Catch a photo while you are out and about in Lakewood. Pictures with a caption can tell a thousand words! Pictures are printed as room allows. We also appreciate photographers who have interest shooting different local events and occasions where we can add you to our list of photobloggers. Other talents-- Illustrators or poets can also add a well-needed touch for our readers. Again, as long as it has Lakewood revelance we welcome how you can best participate. See the Observer F.A.Qs section and Policies section for more help and information. For step-by-step instructions on how to use the Member Center, download the manual (pdf). 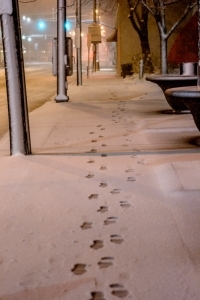 If you have any trouble or need further assistance you may call us at 216-712-7070.